Burgundy & Gold Sequined Table Runner, by K and K Tabletops. Add a touch of glamor to your table with this pretty tablerunner! 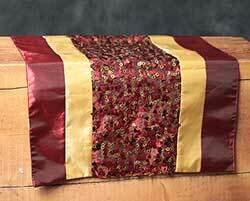 Features a sequined center bordered by stitched strips of gold and burgundy 2-toned satin-like fabric. 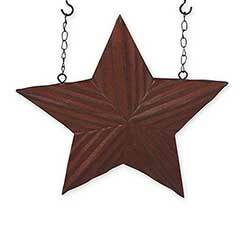 Measures 16 inches wide and 36 inches long. 100% polyester.